Recent anti-American protests in Japan are a sign of growing disapproval of Prime Minister Shinzo Abe's military policies. Last weekend, more than 65,000 people demonstrated on the island of Okinawa. Many Japanese are angry about U.S. military bases there. The anger intensified after a former U.S. Marine was arrested in connection with the death of a local woman in May. On Sunday, about 7,000 Japanese demonstrated near the parliament building in Tokyo. The demonstrators called for the removal or reduction of the U.S. military presence in Japan. They also voiced opposition to Shinzo Abe's efforts to expand the security alliance between the two countries. And they oppose his plans to amend Japan's pacifist constitution to increase the power of the military. Jeff Kingston directs the Asian Studies program at Temple University's Japan campus in Tokyo. He said the mood of the public in Okinawa has gone from "angry to extremely angry." Kingston told VOA that many Japanese are afraid the country will get involved somehow because of American orders. Last year, Abe's supporters in parliament passed security legislation that changed 10 existing laws. The legislation gave the military more power to defend Japan's people and interests. As a result, the military can defend allies like the United States. 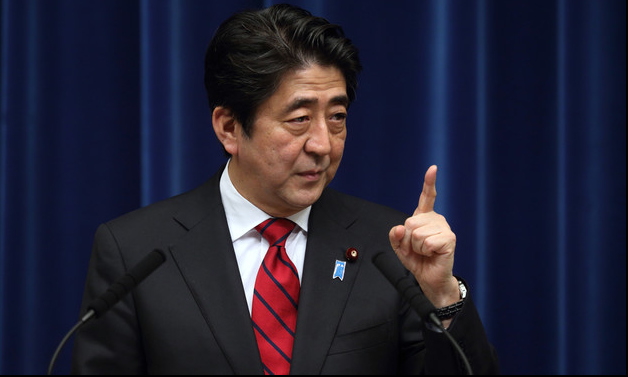 Opponents argue that Abe's military policies will not make the country safer. They argue that the measures violated Article 9 of the country's constitution. Article 9 rejects the use of offensive force to launch a war or settle international disputes. On Tuesday, Katsuya Okada, leader of the opposition "Democratic Party" promised to fight attempts to change the constitution. "This is something we just cannot accept," he said. Prime Minister Shinzo Abe and his supporters argue that Japan needs a stronger and less restricted military. He says the country must be ready to deal with aggression from China and North Korea's nuclear activities. Amending the constitution in Japan requires agreement of two-thirds of both houses of the parliament. Abe said that the future of the military should be put to a national referendum. Public opinion studies show that more than half of Japan's population is opposed to both the recent security legislation and to amending the country's constitution. Mary didn't want to get involved in any perplexed relationship with a married man. Our water supply has diminished as a result of the drought. We have to be prepared to deal with a range of possible cases. 1.The anger intensified after a former U.S. Marine was arrested in connection with the death of a local woman in May. He was in detention in connection with the bribery affair. The police arrested the men in connection with a bank robbery. 2.The demonstrators called for the removal or reduction of the U.S. military presence in Japan.